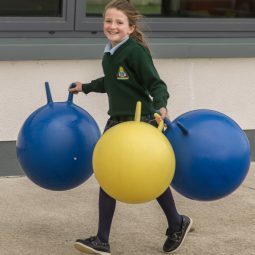 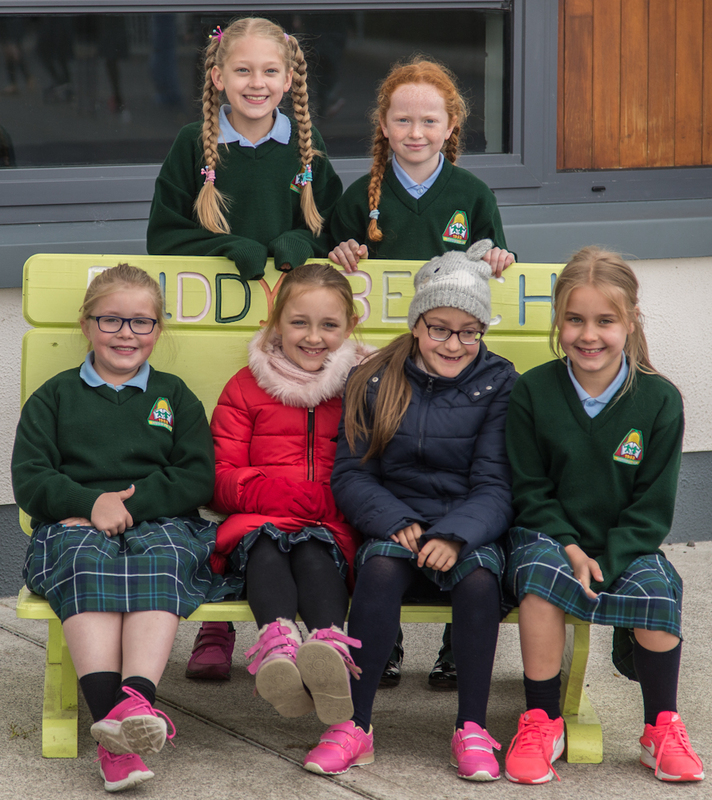 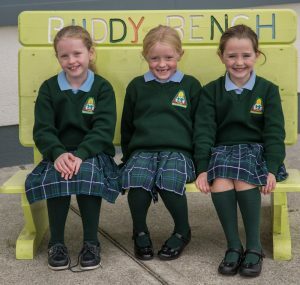 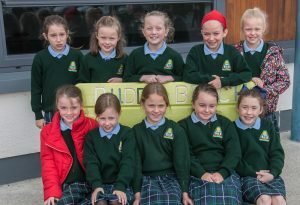 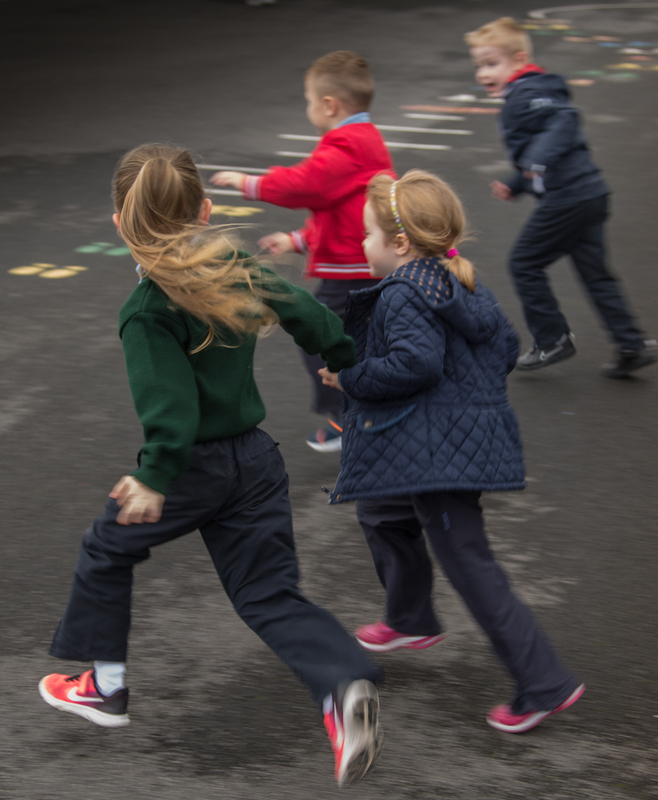 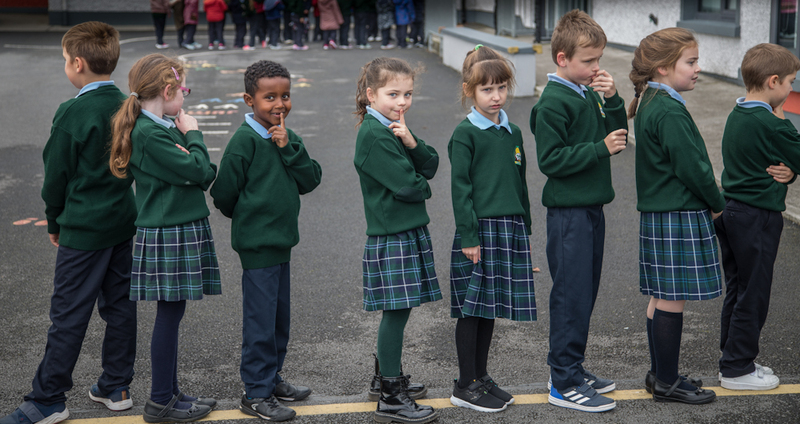 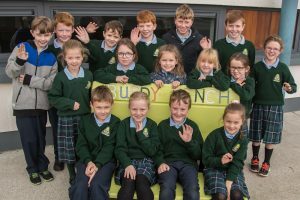 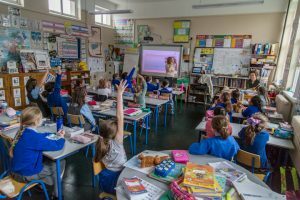 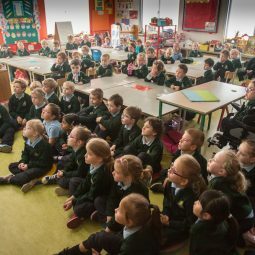 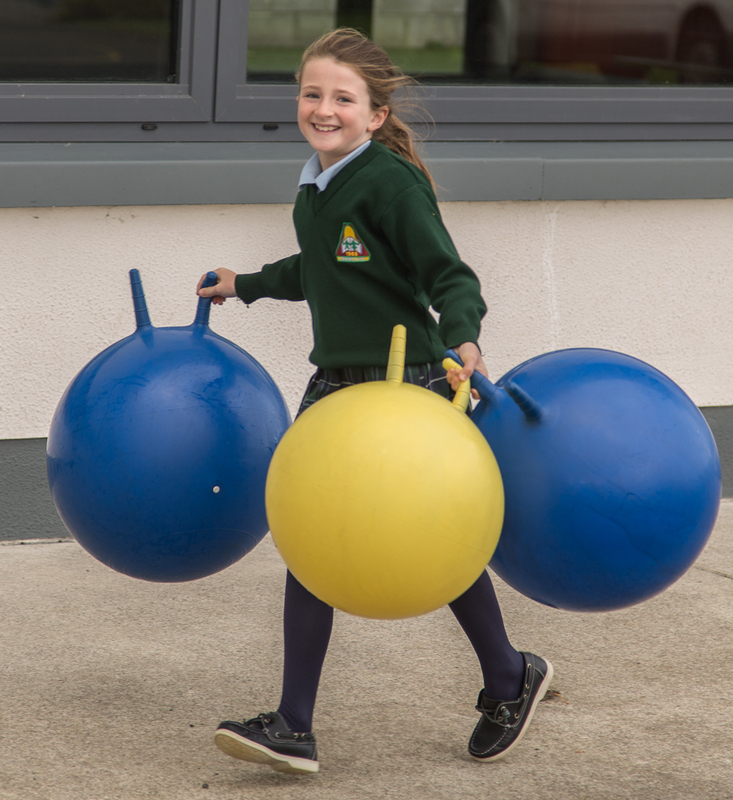 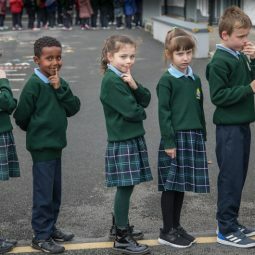 Through our annual fundraiser for children’s charities and causes (Happy Faces), Redmonds of Roscrea, the Photographers have facilitated the addition of the Buddy Bench Programme in St Joseph’s NS Templemore and Crinkle NS., Birr. 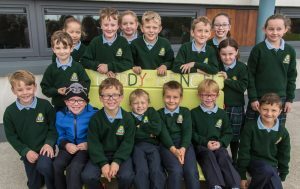 Irish Professional Photographers Association Members Brian and Theresa Redmond asked the participants in their fundraiser to nominate a national school and the St Josephs and Crinkle were the winners. 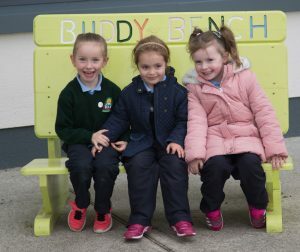 On Tuesday last the school was visited by Aurellia Mackin, a facilitator with Buddy Bench and she enthralled the children with stories from the Buddy Bench workbook. 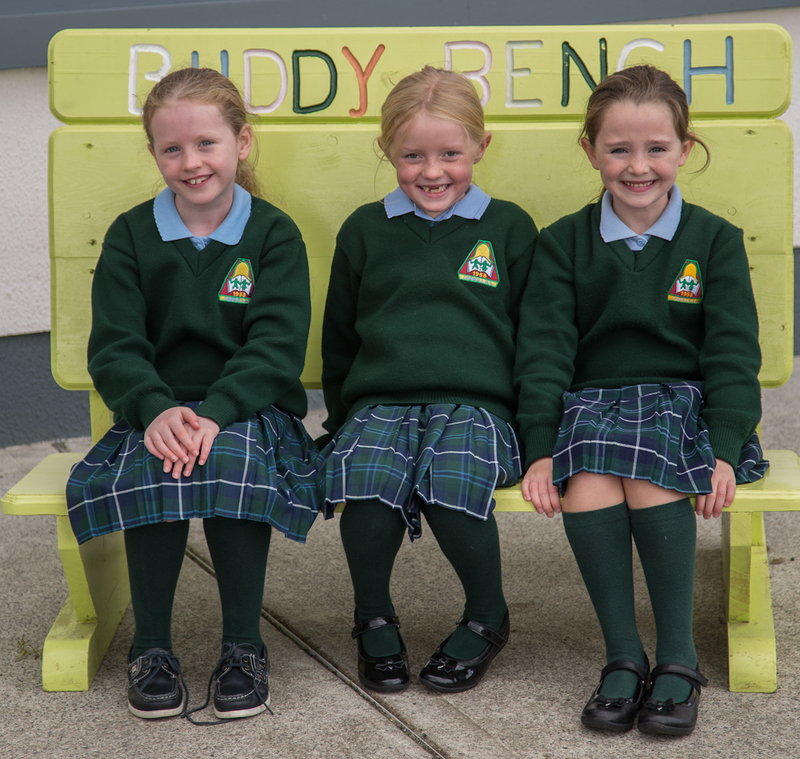 Soon there well be a physical Buddy Bench installed at the school, also paid for from funds raised by Redmonds. 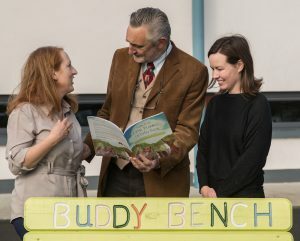 Buddy Bench Ireland is a school-based, positive mental health programme that promotes emotional resilience, releases the stigma of asking for help, celebrates the children who act with compassion, kindness & empathy and encourages them in developing conflict-management skills, thus relieving anxiety, stress and feelings of isolation. 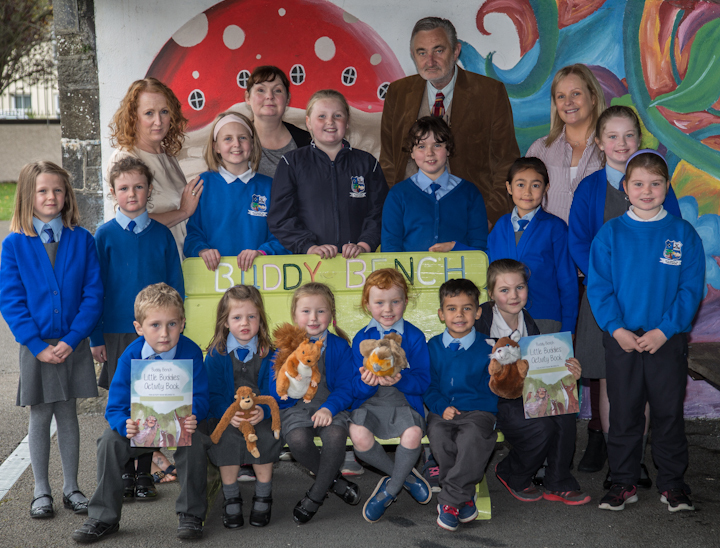 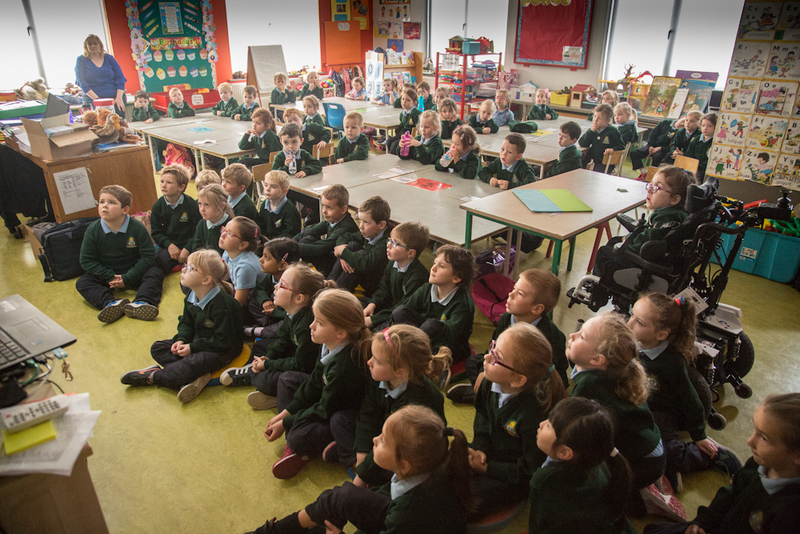 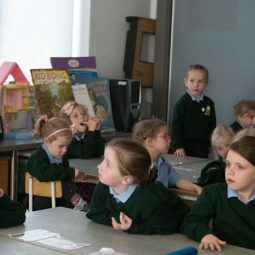 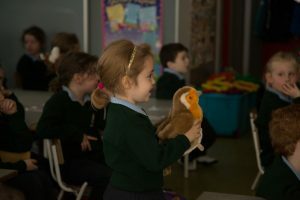 Picture shows Brian Redmond with St Joseph’s NS principal Elaine Foley (right) and Buddy Bench representative Aurellia Mackin and teacher Siobhan Bowe along with a group of children with Brian Redmond trying out the Buddy Bench and a classroom scene with school children listening with rapt attention to Aurellia. 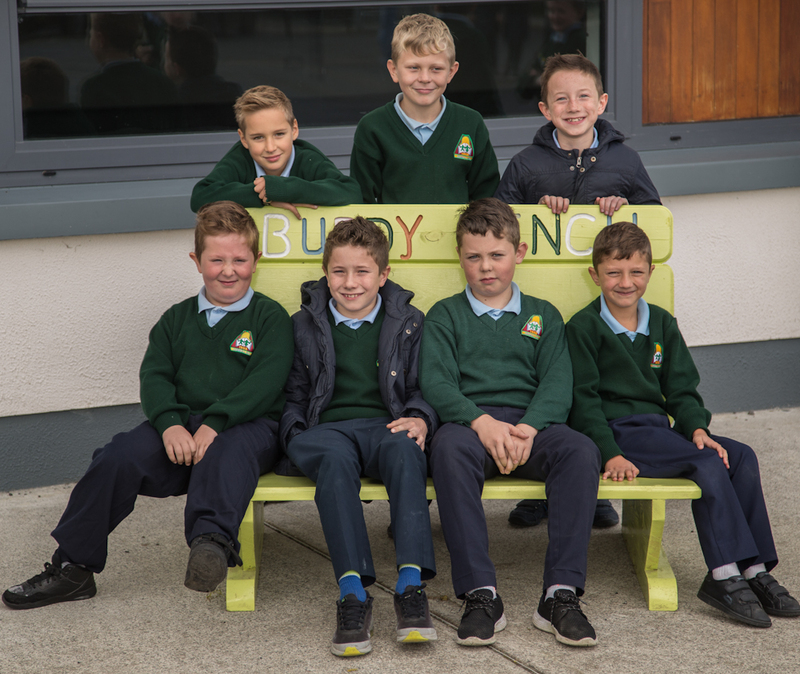 From one school to another…. 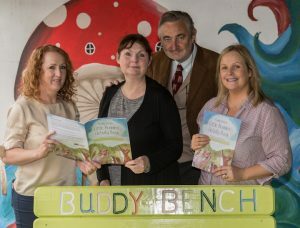 Redmonds of Roscrea’s annual fundraiser for children’s causes have nominated the Buddy Bench programme for the second year. 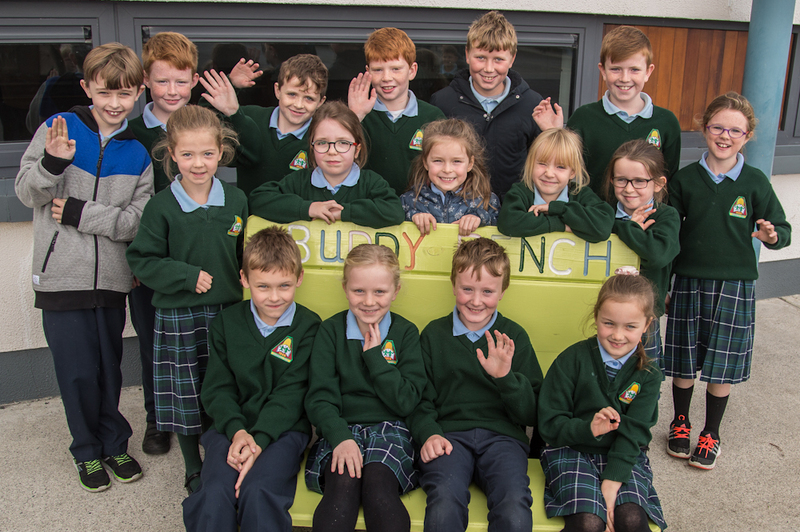 Corville NS were the winners last year and have found the programme (and the bench) to be of immense benefit to the school and it’s pupils. Buddy Bench Programme is aimed at teaching vital coping skills to school children. 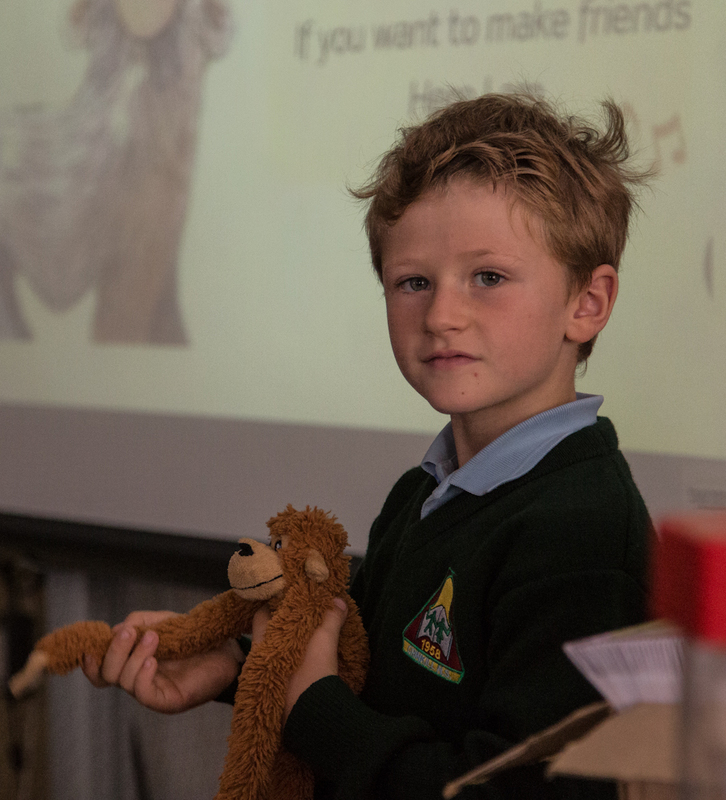 The programme is introduced to a school by trained psychotherapists. 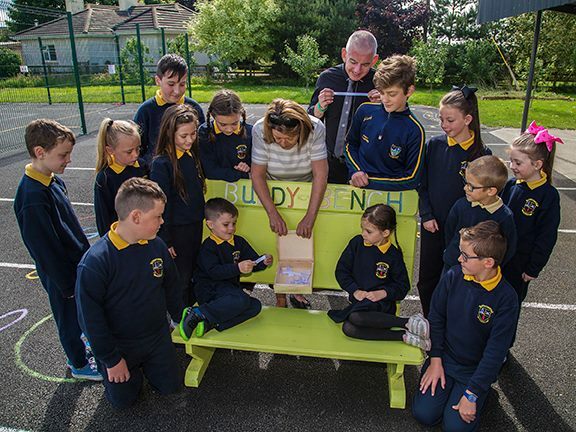 Picture shows Theresa Redmond , Redmonds of Roscrea, the Photographers at the draw for the recipients of this years programme. 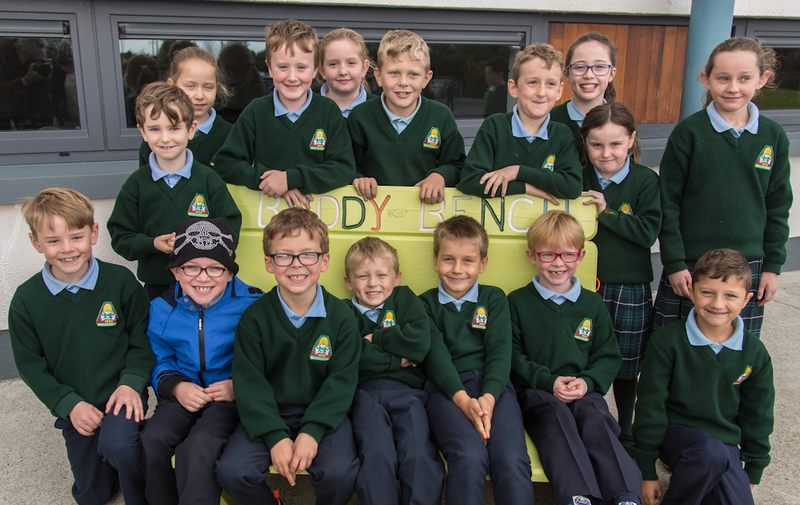 Children there to help with the draw were Kai Carey Emma O’Connell , Harry Loughnane, Charlie Mulready, Kayla Carney, Lucy Nash, Conor O’Lone, Abbie Vozza, Alex Morrissey, Katy Moloney, Ellie Dunphy, Cornell Gol, Dan O’Brien and school principal John Slattery.